If you're on a budget, we feel you. 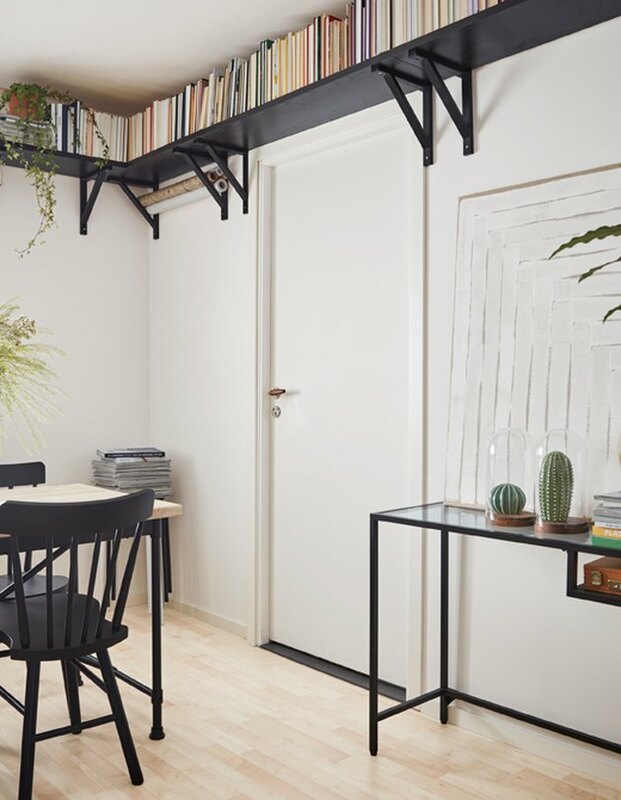 It can sometimes feel like such a challenge to decorate with next to no money, but it actually is possible to make a studio apartment look sufficiently awesome without breaking the bank. From living room to kitchen and from bathroom to bedroom (which in some studio apartments are all the same room), we've assembled budget-friendly ideas that let you get creative, maximize on minimum space, and still show off your killer personal style. 1. Pick up a round wall mirror. 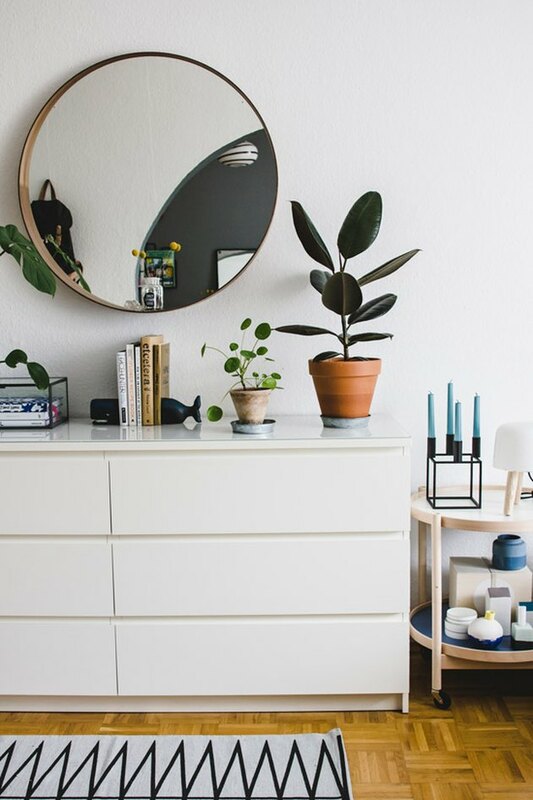 A large, round wall mirror is a great addition to any studio apartment. It's highly versatile: works in a bedroom, living room, entryway, wherever your heart desires. Oh, and this one is under $100, but you should also consider giving your local thrift shop a once-over first. 2. Shop for affordable art online. Well-priced art delivered straight to your door? We'll take it. Head to an online prints dealer like Society6 for a massive selection of affordable art. 3. Try hanging curtains as room dividers. Privacy can be hard to come by in a studio apartment, and using a curtain as a room divider (even if it's just around your bed) is a budget friendly way to create some private space. Try layering sheer white curtains to create an ethereal effect for an added bonus. 4. Take advantage of vertical gardening. 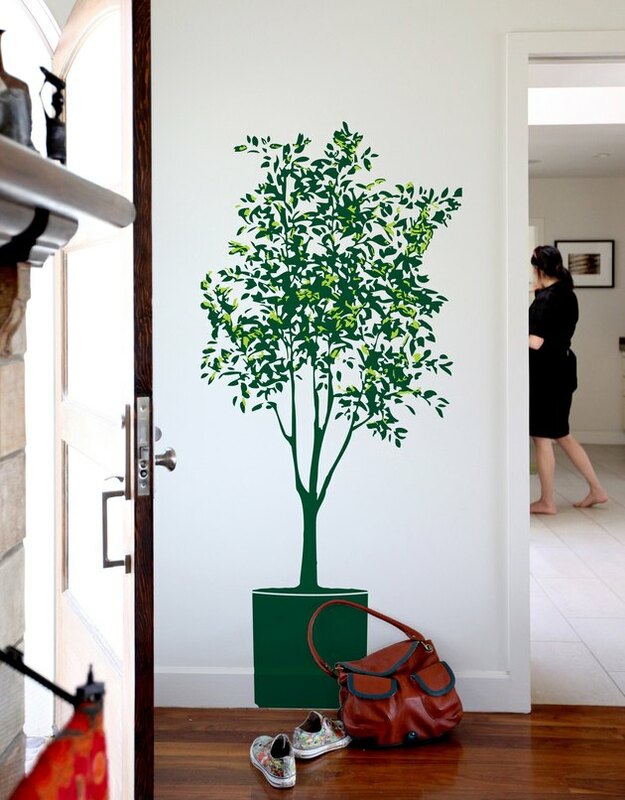 A wall-mounted vertical garden is an easy way to add some plant life to a studio apartment without losing floor space. If you're feeling handy, grab a set of shelves and make it a DIY decor project. 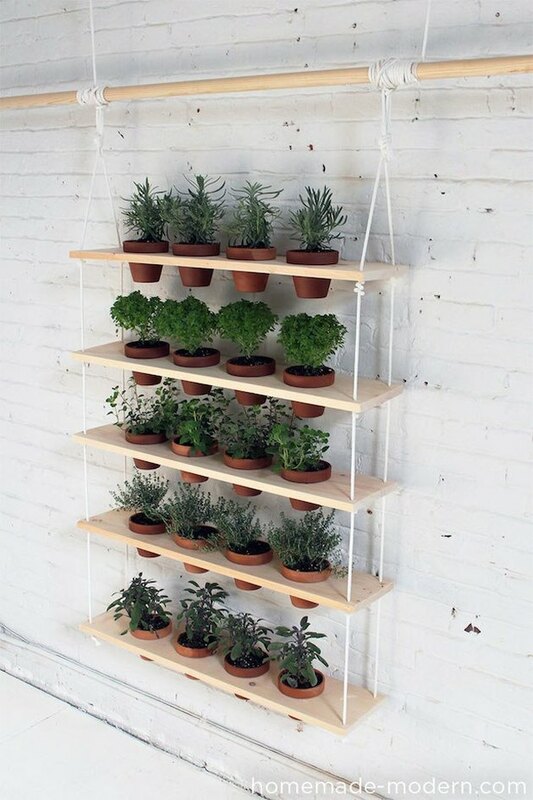 For culinary enthusiasts, fill one up with your favorite cooking herbs and hang in your kitchen. 5. 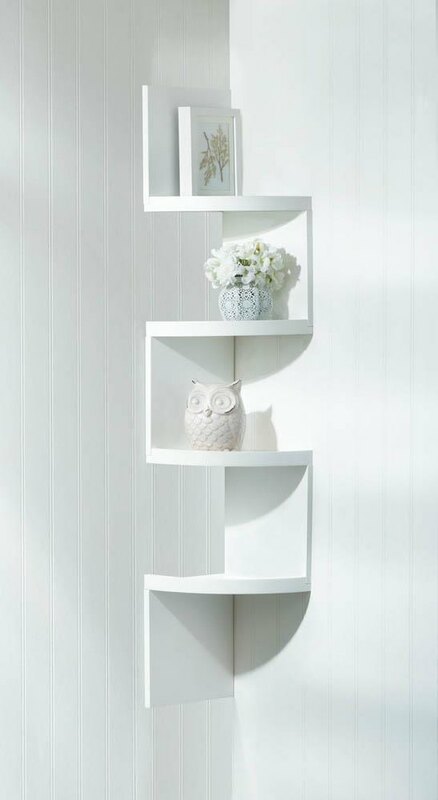 Go way up high with wraparound floating shelves. Utilize that airspace up high with wraparound floating bookshelves from Ikea ( $25 ). Positioning the shelves just below the ceiling draws the eye up and makes the room seem taller, while the continuous line created by wrapping the shelves around the room makes it seem bigger. Plus, you get those pesky space-eating books out of the way. Just don't forget to dust up there on occasion — it could get gnarly. 6. Make a statement with your rug choice. Be bold with your rug choice. Don't write off its decor potential just because it's underfoot. Find ways to work a patterned rug into your room that enhance the space without overwhelming it. 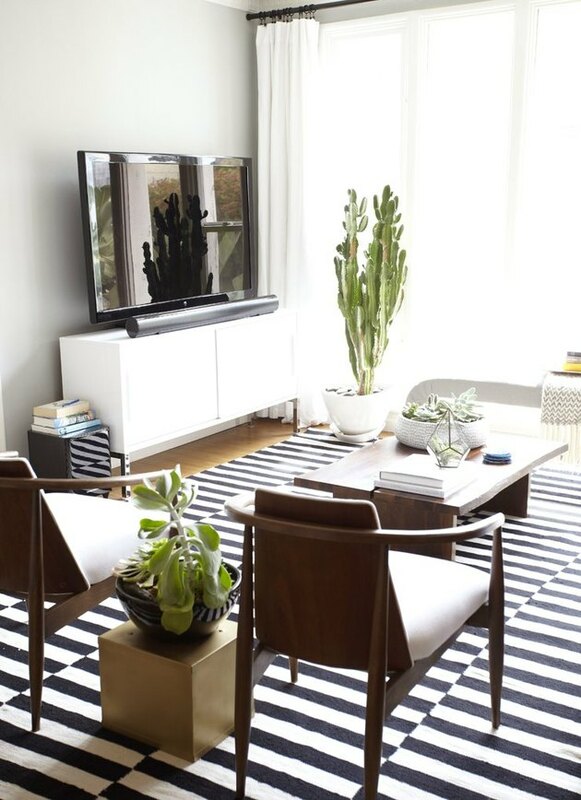 A rug striped in shades that are complementary to the room's color palette is a good choice for a studio apartment. 7. Make extra seating pull double duty. Entertaining in a studio apartment can be tricky, but if you keep a couple of ottomans around you can minimize the awkward hovering. 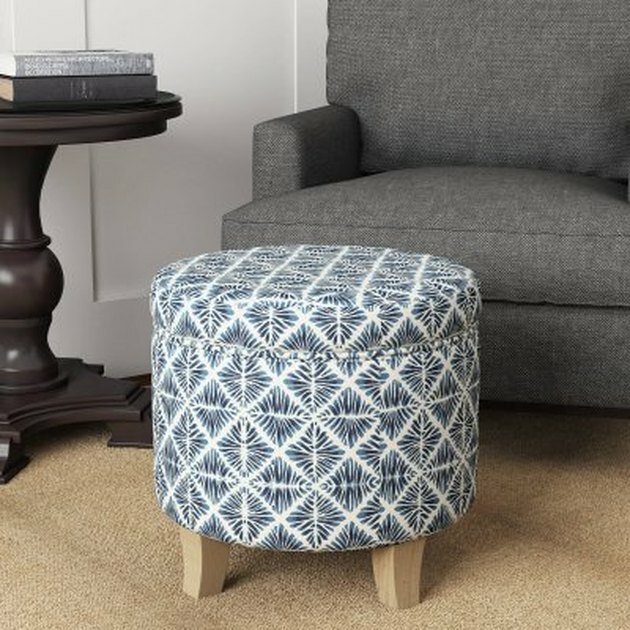 And because you're a budget-savvy pro, you'll pick up extra seating and extra space when you go for a storage ottoman like this one from Hayneedle ( $68 ). 8. Dare to change your trim. There are lots of ways to use black trim, and you don't have to be afraid of them! 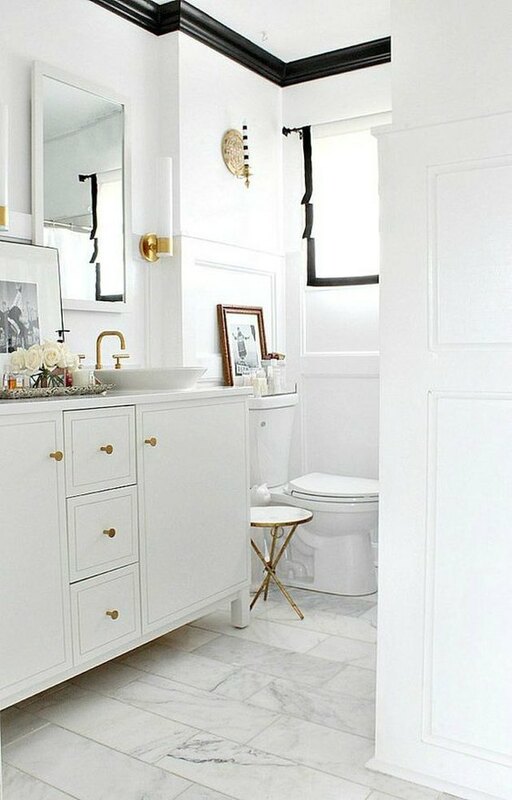 The contrast of black trim against the white walls and floors of this small bathroom catches the eye, and makes the room feel taller as it draws your gaze upward. 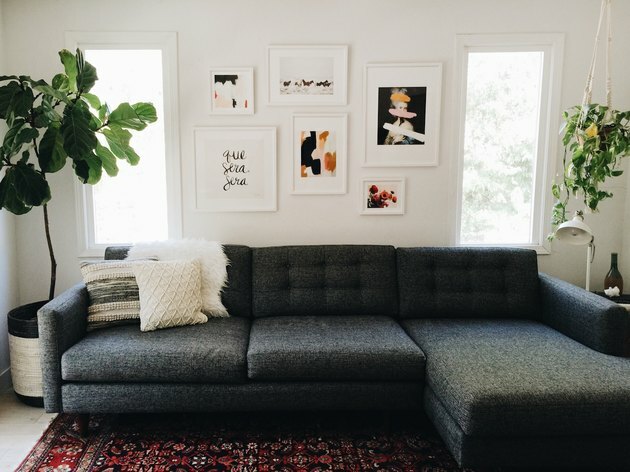 If you're not ready to go all the way black just make sure you pick a dark enough hue to create a stark contrast against the color of your walls. 9. Get creative with pegboards. 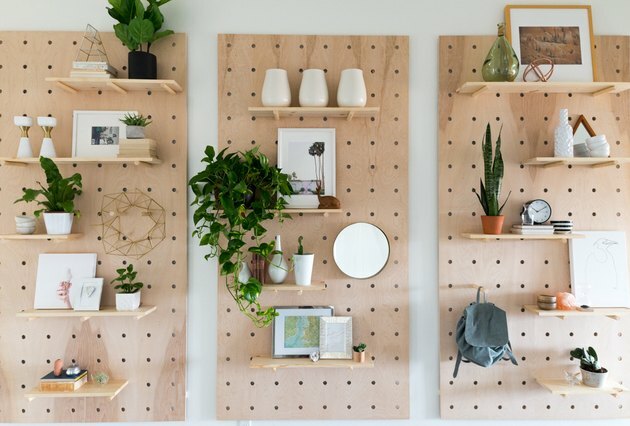 The secret weapon of savvy, creative home decorators, the pegboard has tons of unexpected uses. It's spatially economical in addition to being low cost; and, it's adjustable to boot. Rearrange the shelves (or nix them altogether and just use pegs) any time you want to switch things up. 10. Don't forget about the corners. You need to use all of the space that you have when you're decorating a studio apartment, including the corners. A set of corner shelves like this one is a great way to put items on display and keep surfaces (the number of which are limited in most studios) clear. 11. Try out the easiest DIY ever. 12. Add some dimension with patterned throw pillows. 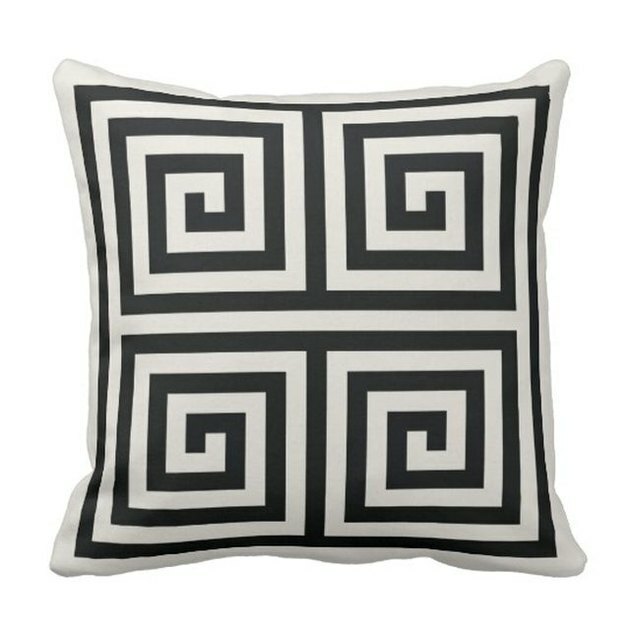 The optical illusion in the geometric design of these throw pillows (don't stare at them for too long without blinking, you'll get dizzy) adds depth and dimension to whatever room they're displayed in. Subtly show off your home decor prowess and recruit these pillows in your take on the blush trend. 13. Reimagine this wall-mounted soap tumbler. Reinvent this brushed brass soap tumbler from Anthropologie ( $28 ) as a planter for small succulents. 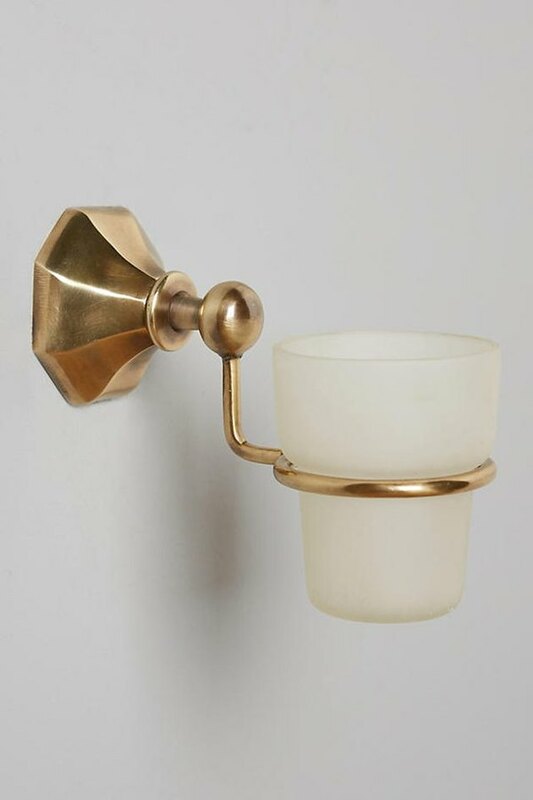 It will add an unexpected touch of decorative vegetation and bring a little more life into your studio apartment. Or use it next to your desk to hold pens and pencils. Or next to your bed to hold your jewelry. Or, yeah, you could just use it in your bathroom. It is a pretty nice soap tumbler.